Kam Tin Tree House - 2007-09-30 13h58m58s SN200785, originally uploaded by 惡龍~Stewart. This picture gives all new meaning to the term tree house! 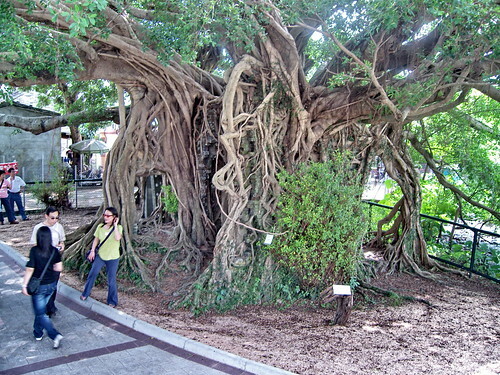 Some say this tree was once a small Banyan tree planted beside a study hall. When the owner of the building left never to return the tree eventualy overgrew the structure with is aerial roots and trunks. 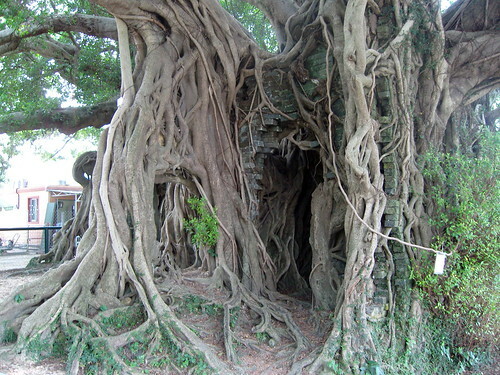 The tree is now known as the Kam Tin Tree House. Kam Tin Tree House - 2007-09-30 14h09m04s SN200813, originally uploaded by 惡龍~Stewart. 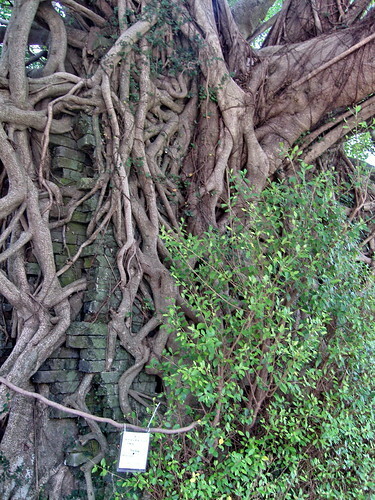 Below is another view where you can see the bricks from the original structure entangled in the web of roots. Kam Tin Tree House - 2007-09-30 14h07m28s SN200811, originally uploaded by 惡龍~Stewart.